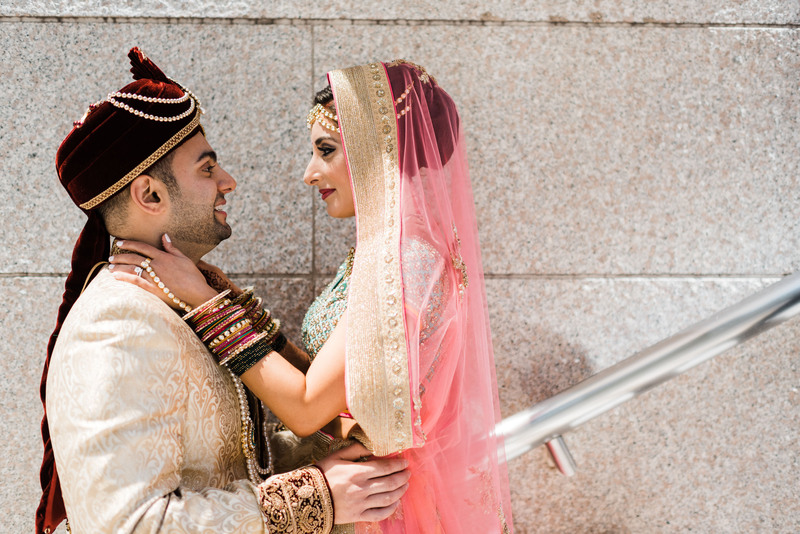 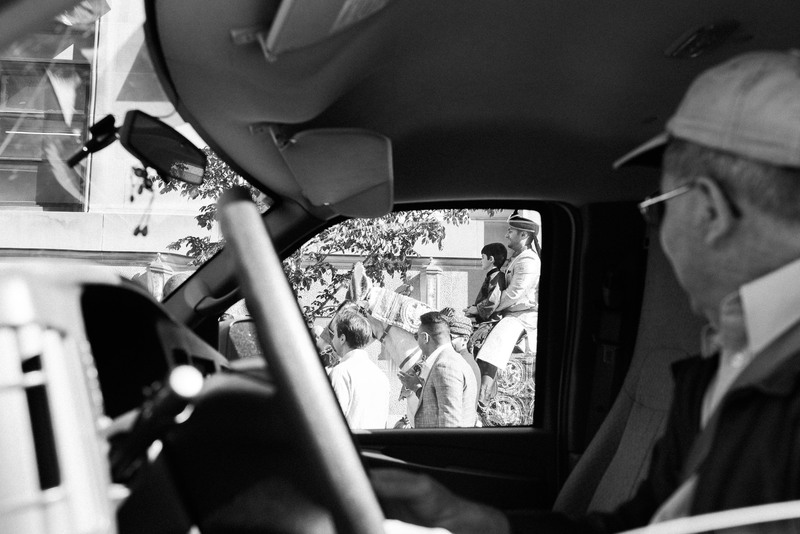 We spent an amazing two days photographing Elmira and Nikhil’s wedding. 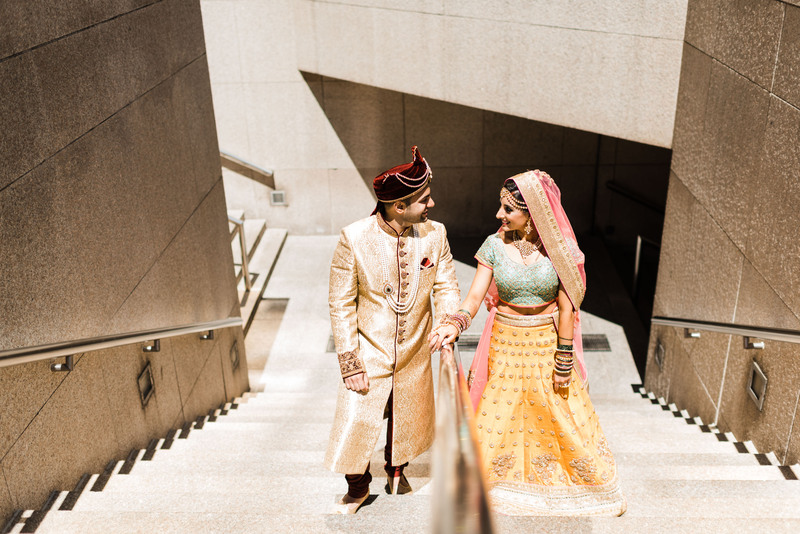 You may remember this very unique and stylish couple from our engagement photo shoot in New York which you can see HERE. 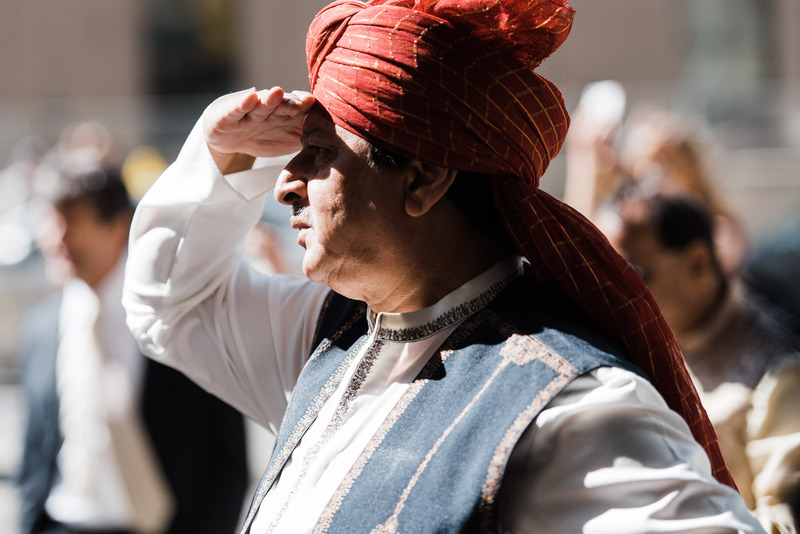 The first day was full of traditions. 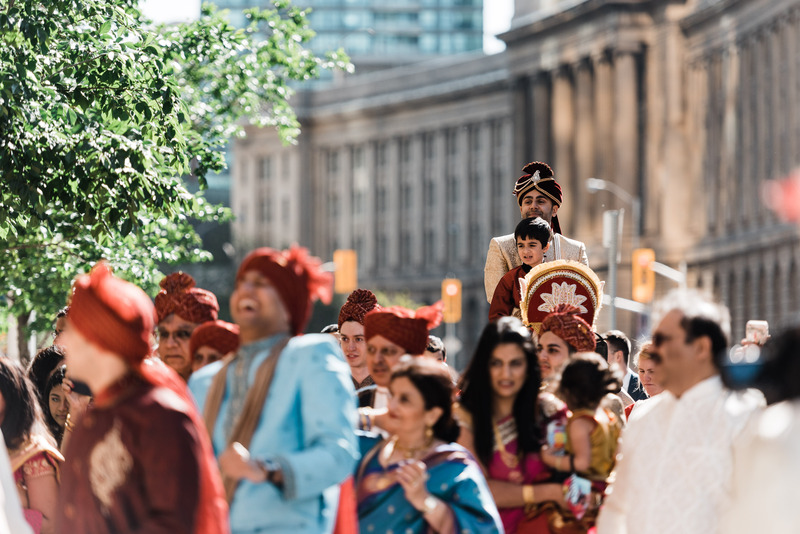 The very colourful and fun Baraat, Milni and a spectacular Vedic Hindu wedding ceremony which dates back over 5000 years. 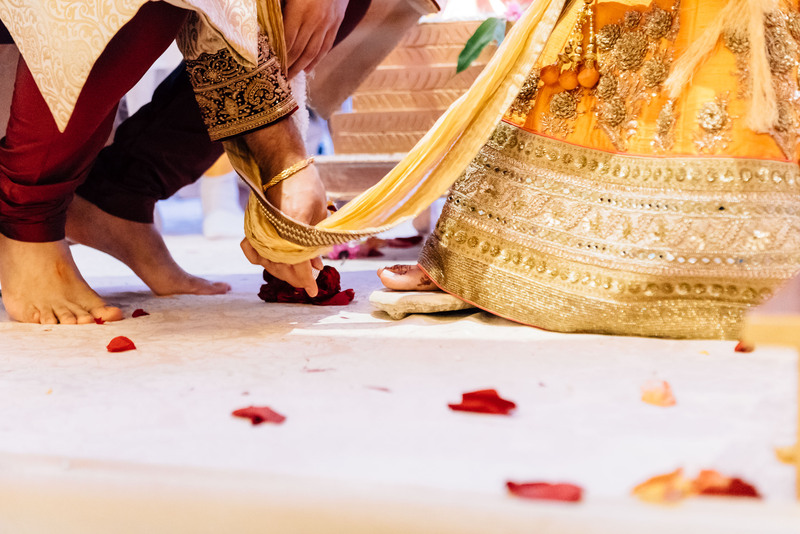 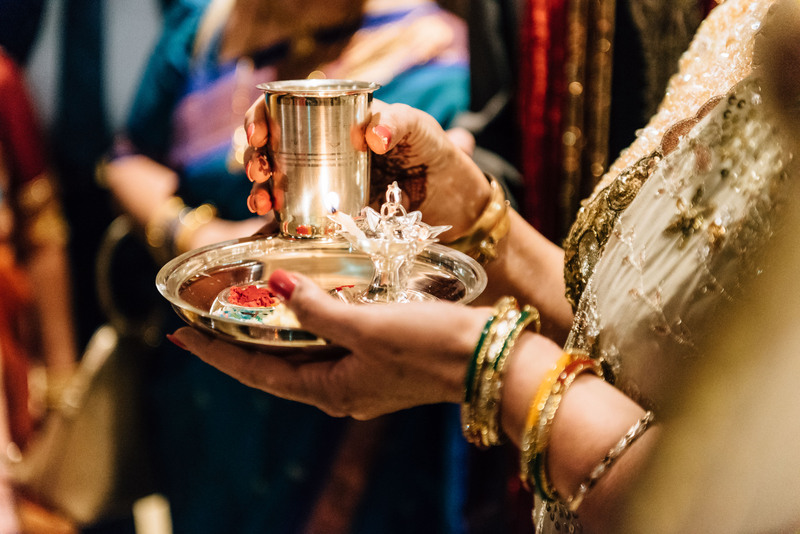 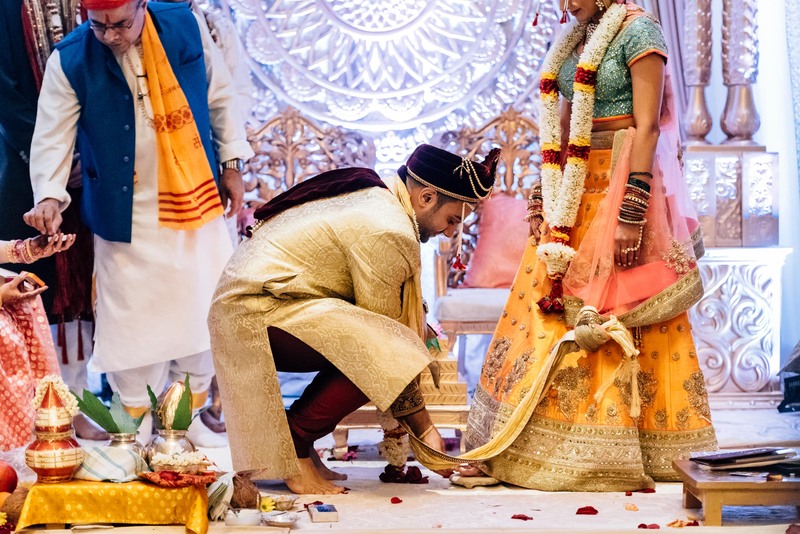 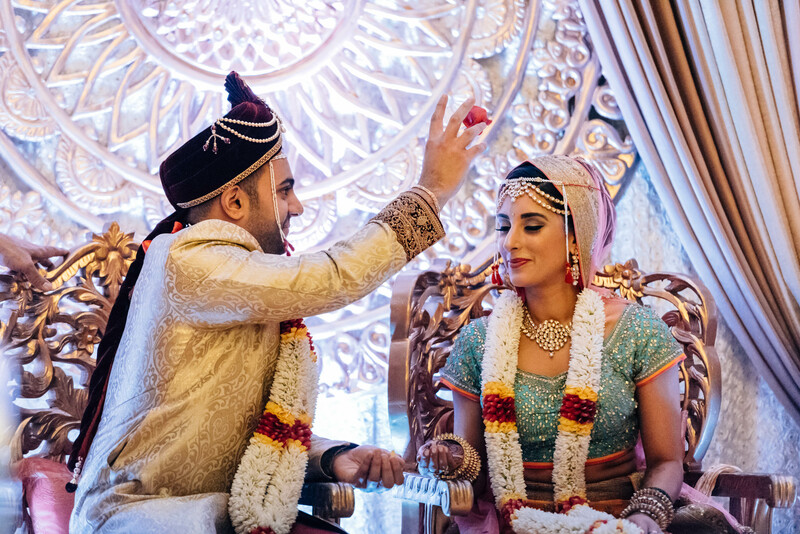 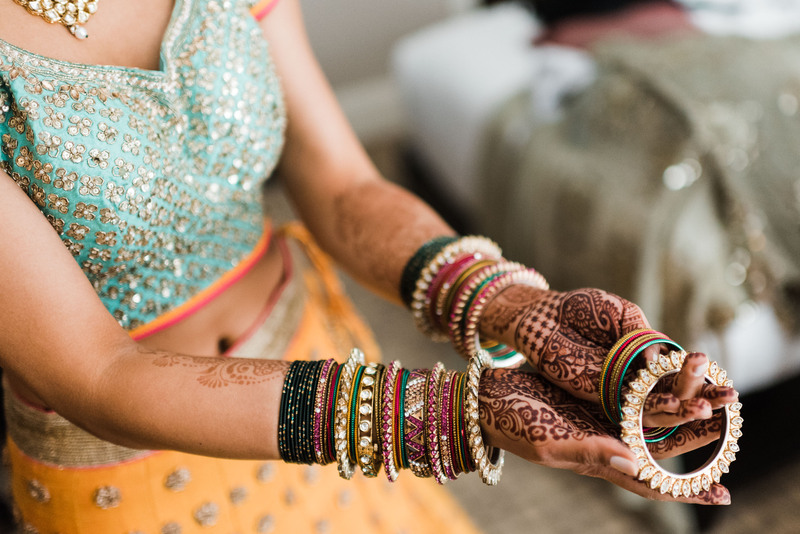 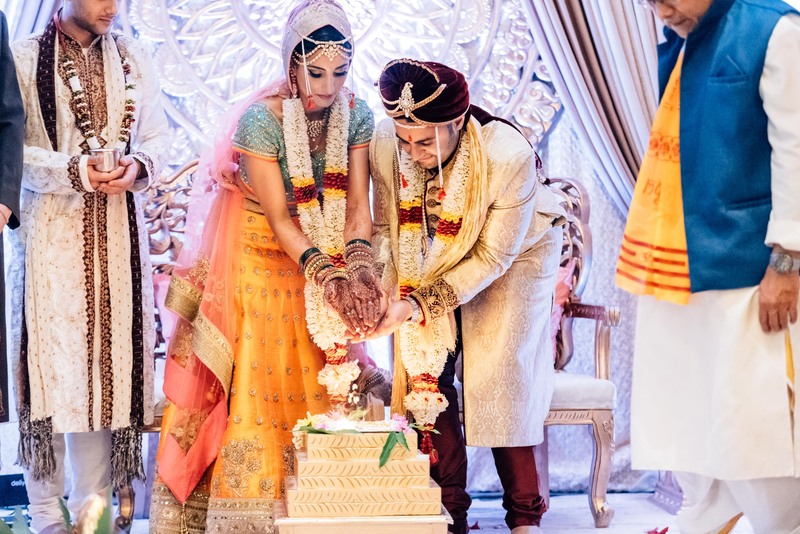 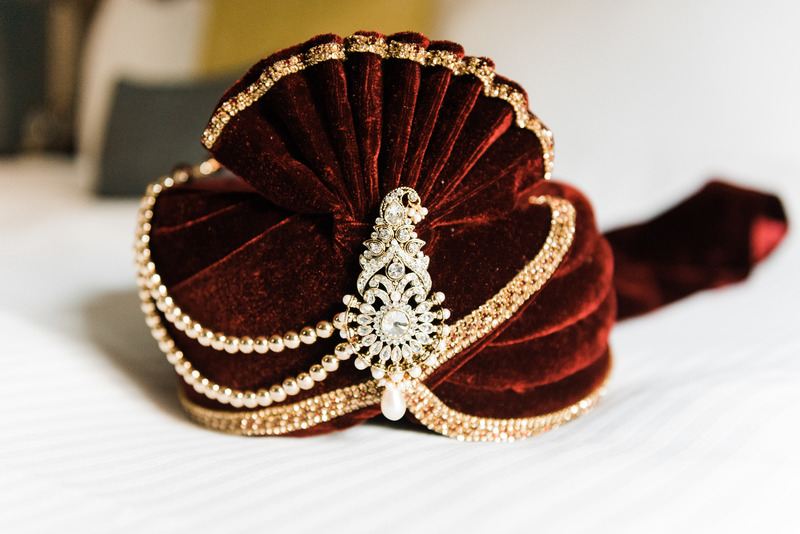 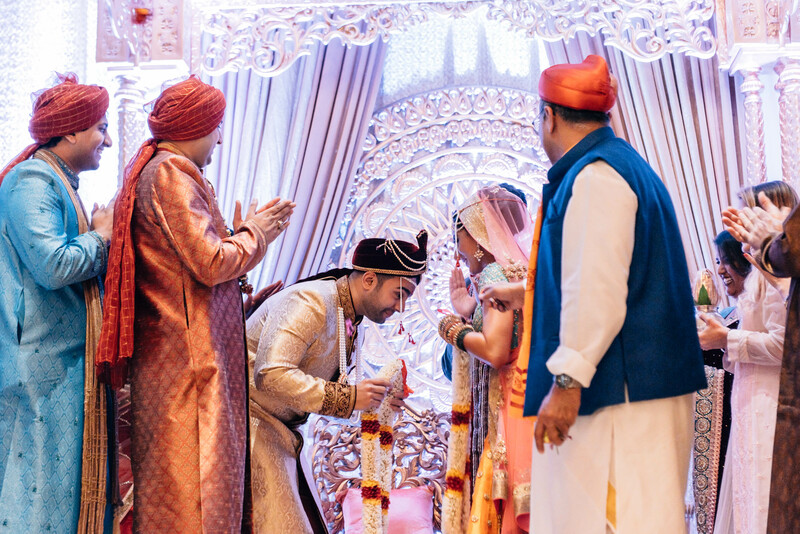 The numerous details in the traditional Indian Hindu wedding are simply a feast for the eyes and for our lenses. 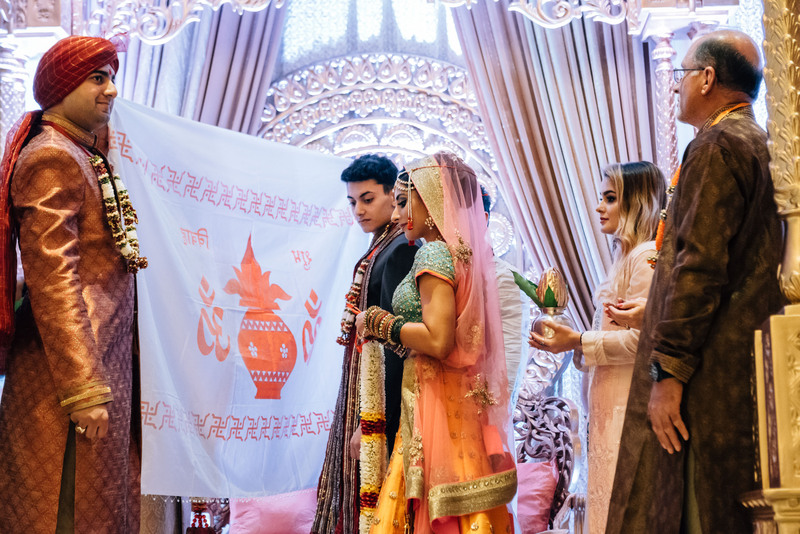 Not only was the entire ceremony rich and beautiful but it was also full of unique symbolism woven throughout the entire day. 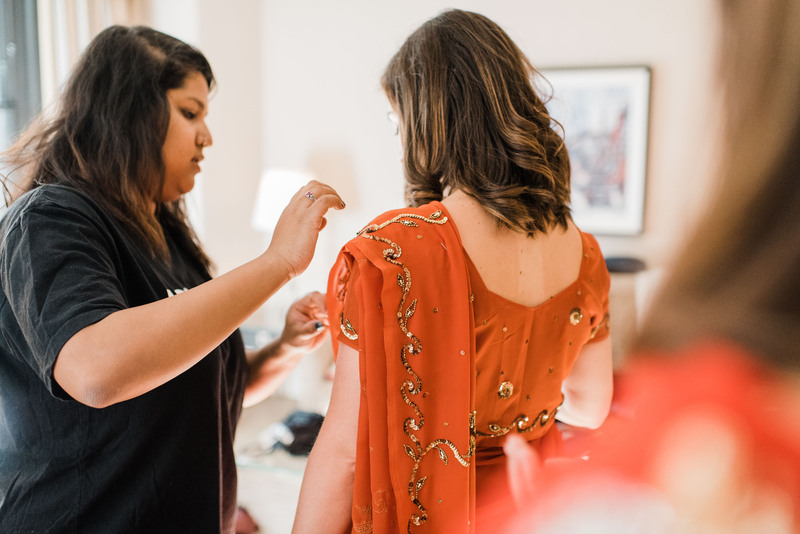 The day started early in the morning with the preparations at the Fairmont Royal York hotel downtown Toronto. 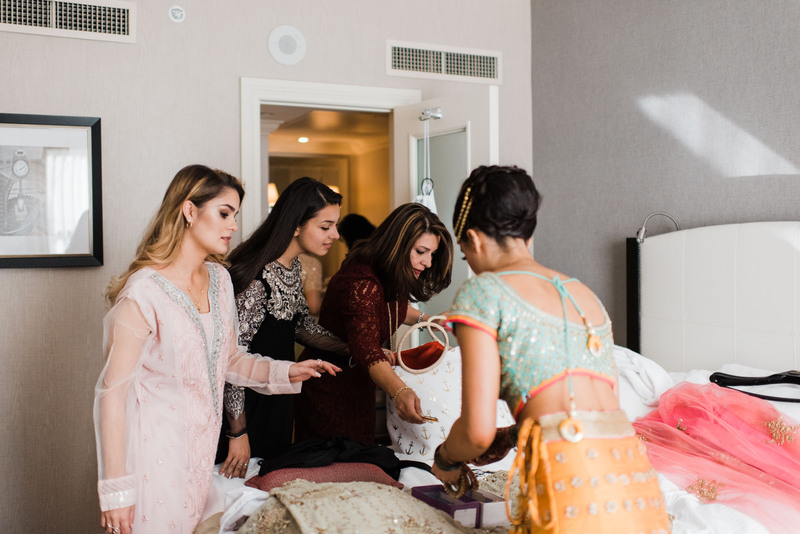 Wrapping the colourful carries and turbans looked complicated! 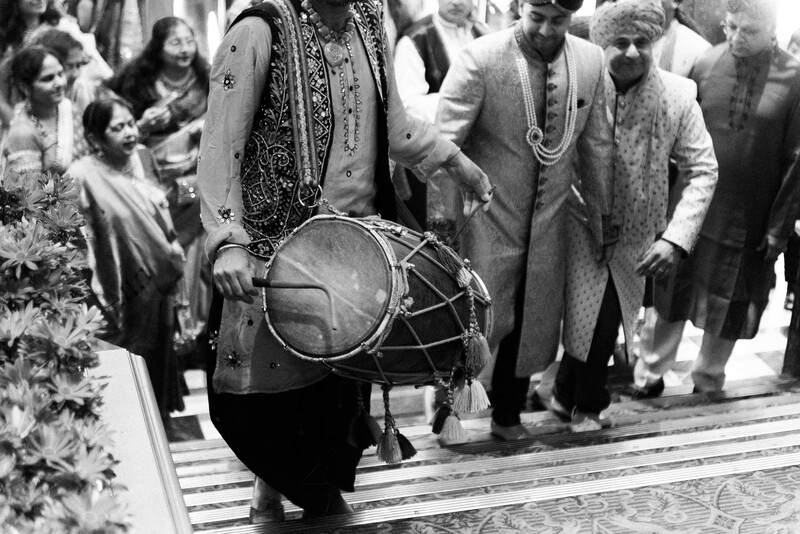 There seems to be a very specific craft to it and a pride clearly expresses in the entire process. 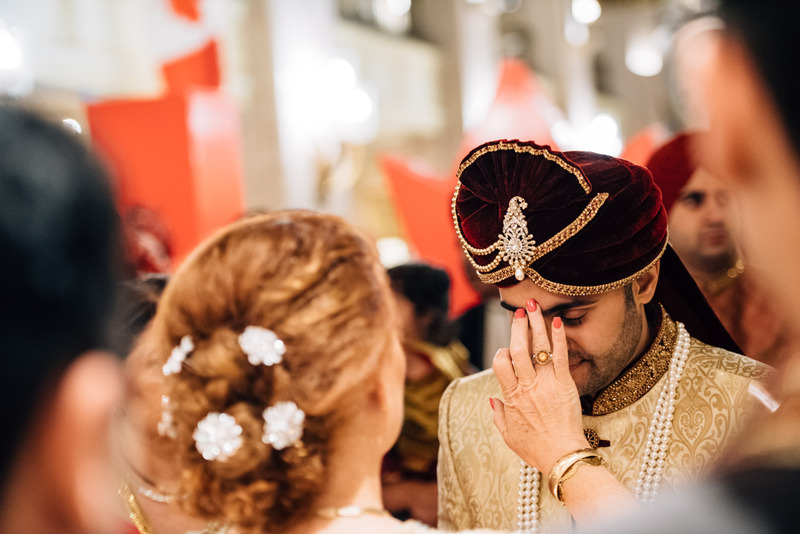 We love to capture those small details and emotions which grow before the ceremony. 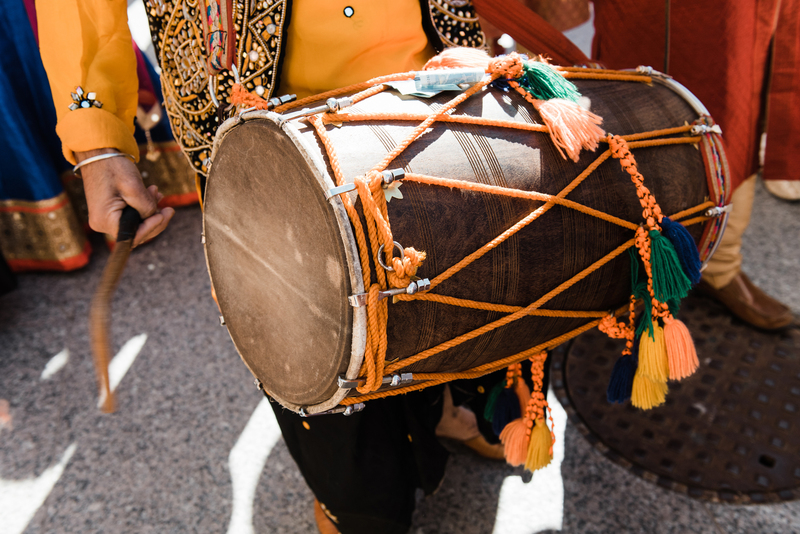 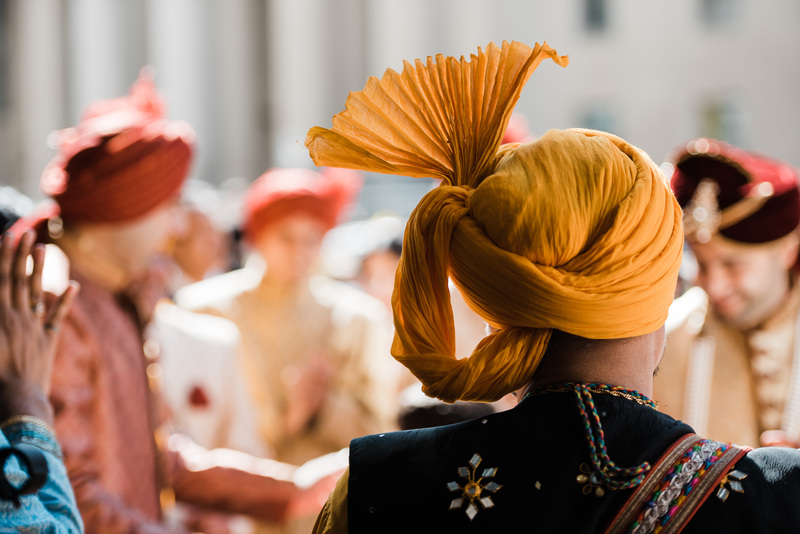 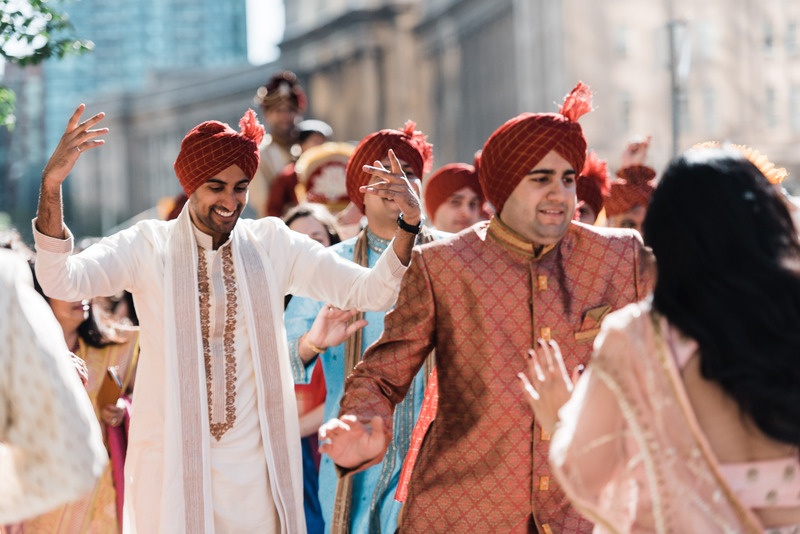 Shortly after 9am the Baraat started which is a festive procession created by the groom and his family accompanied by music. 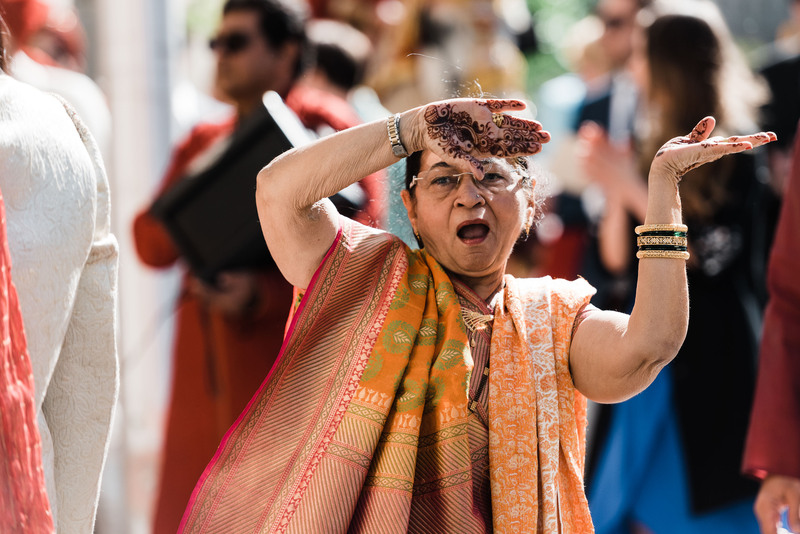 It was full of fun, dancing and laughter. 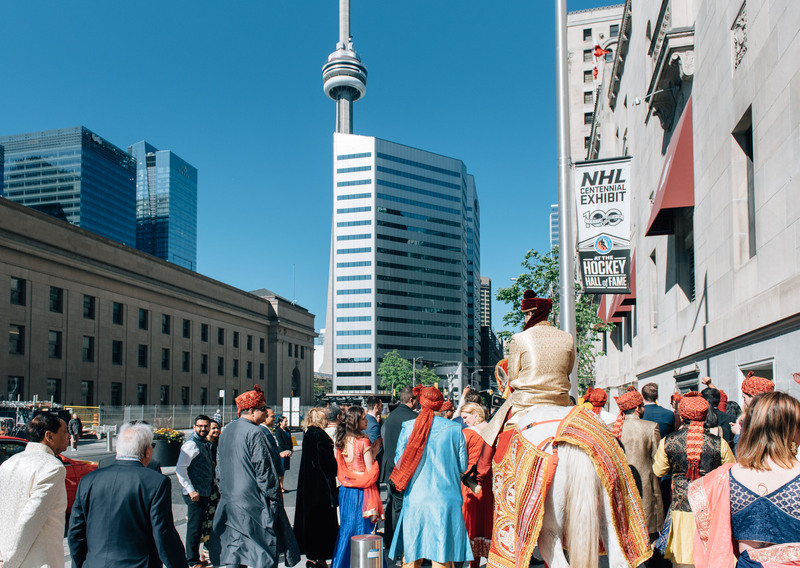 Not to mention that Nikhil was riding a horse downtown Toronto. 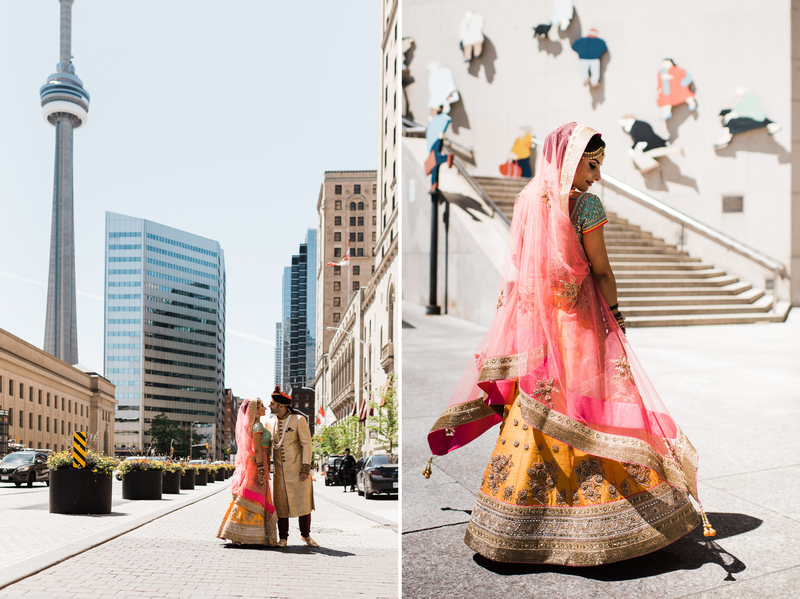 A pretty unique thing to see on Front Street right by the Union Station! 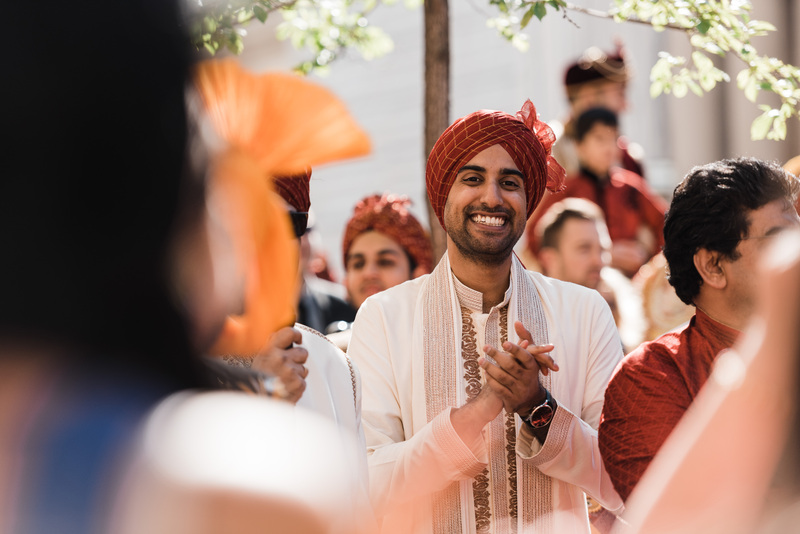 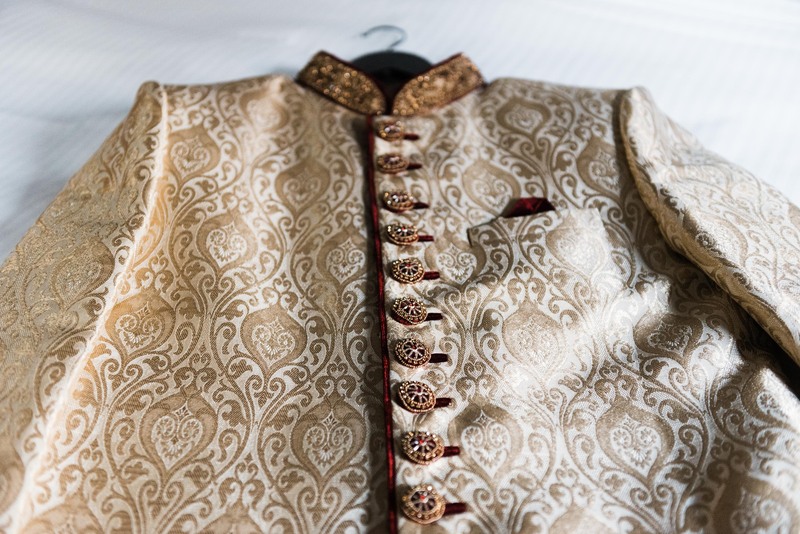 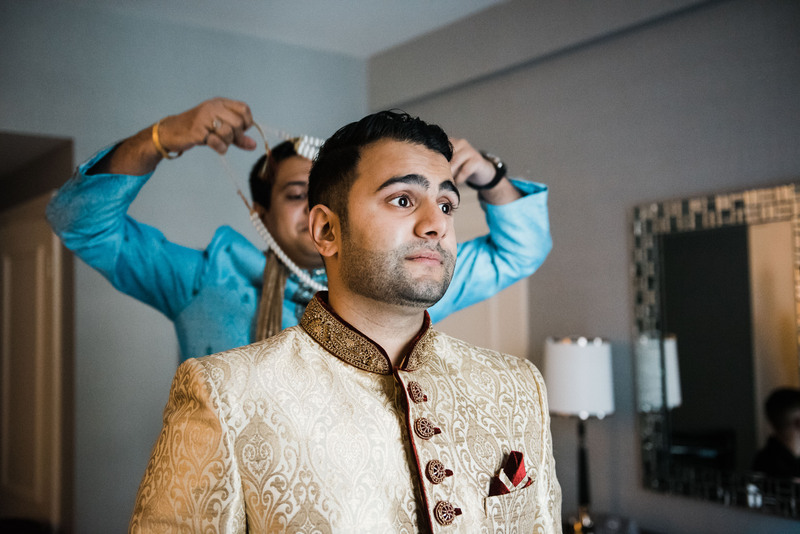 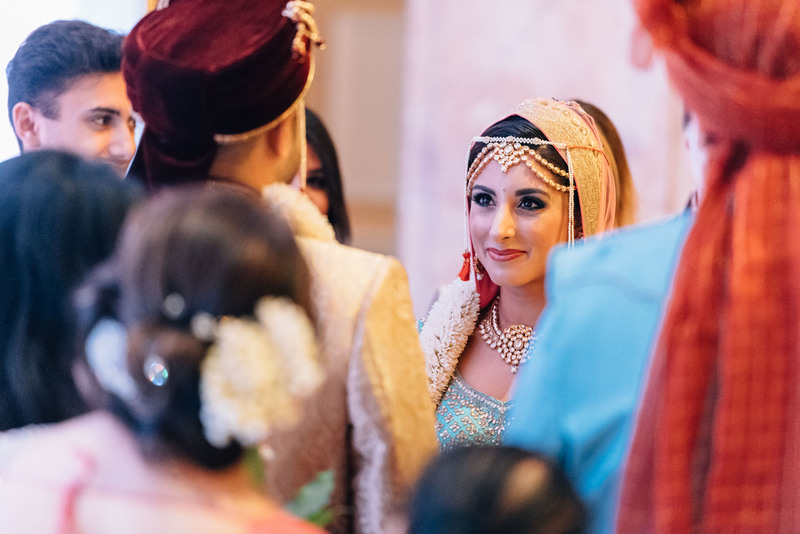 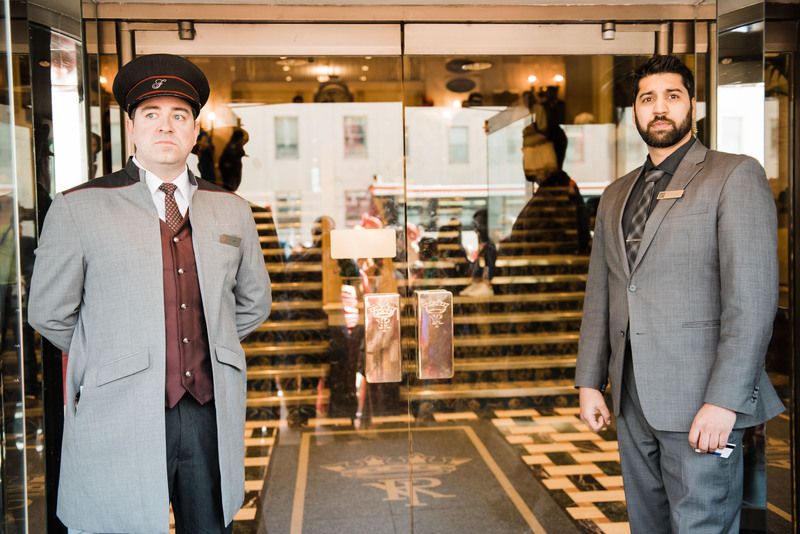 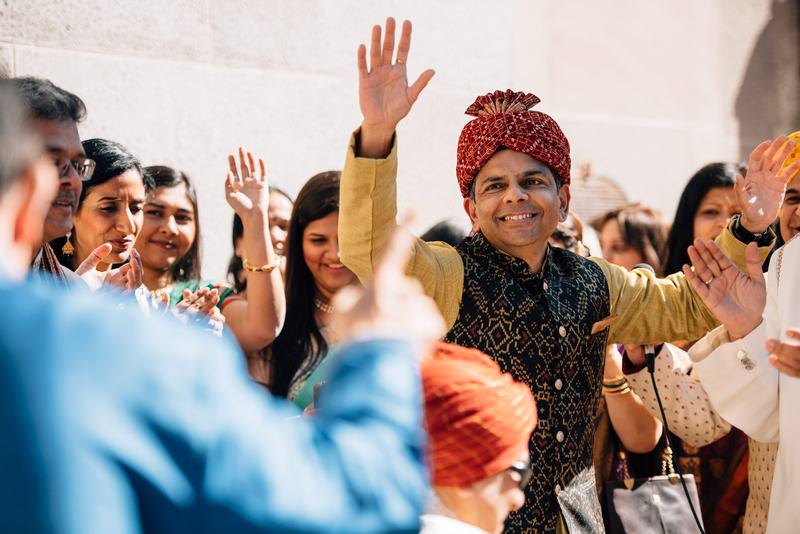 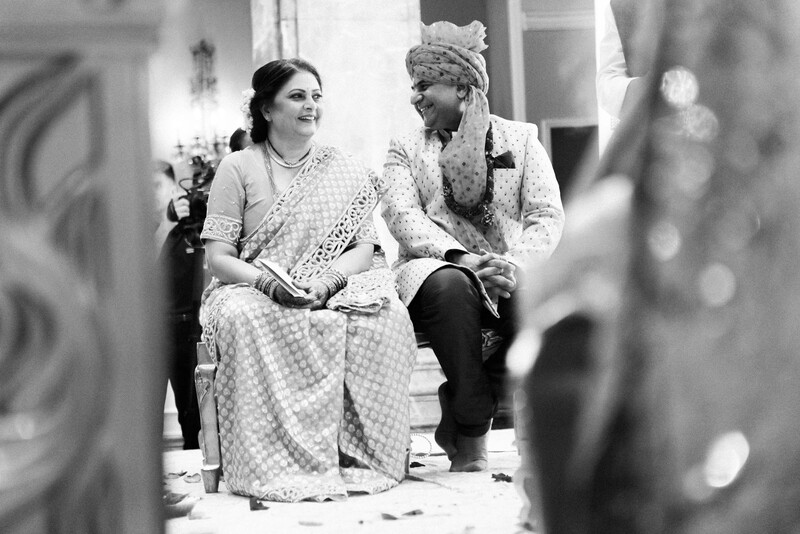 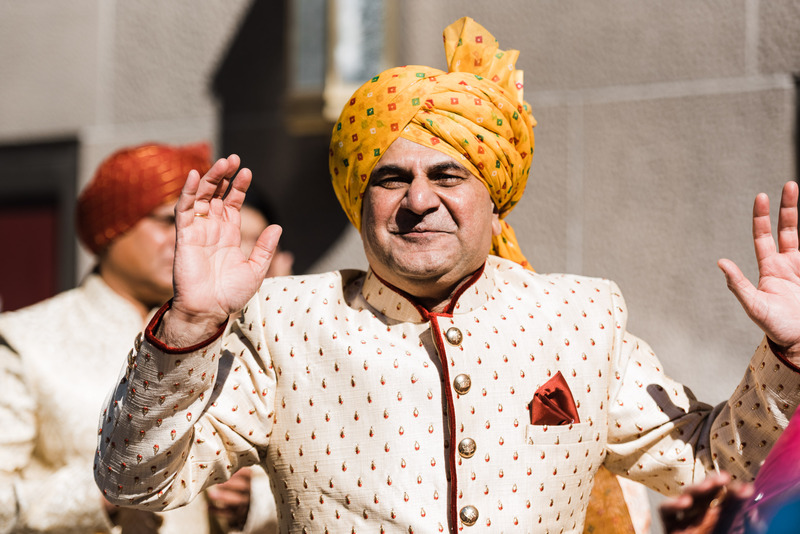 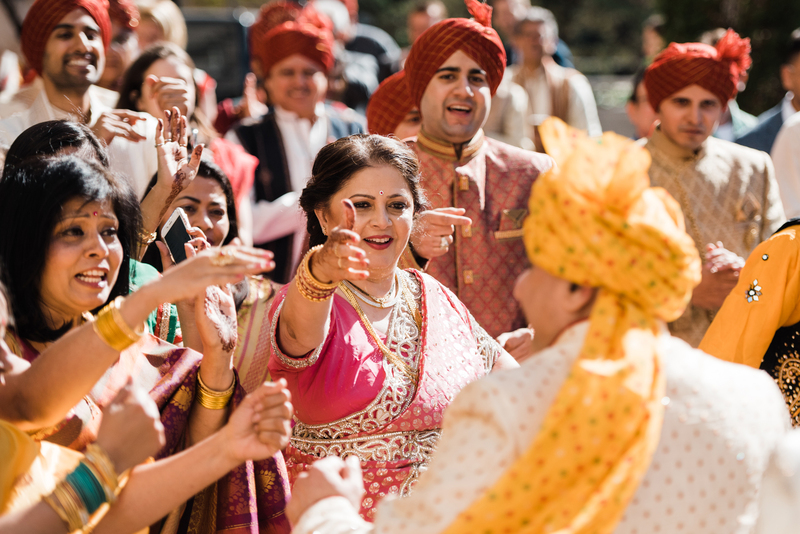 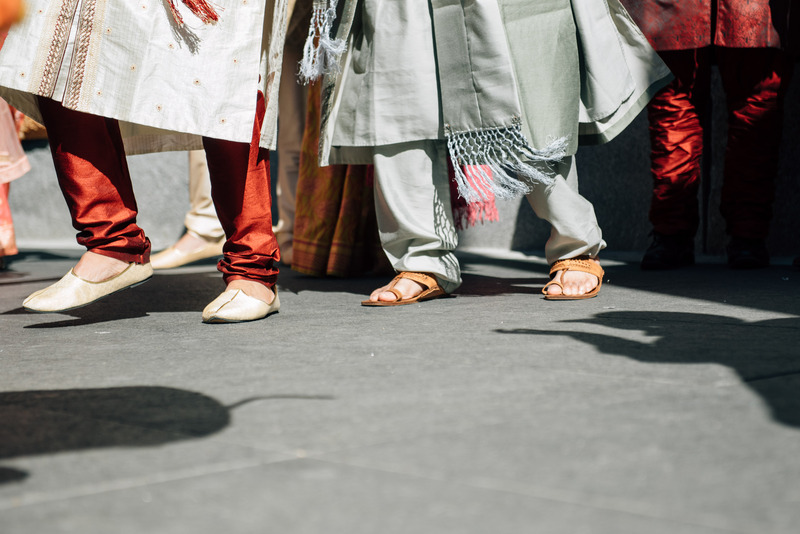 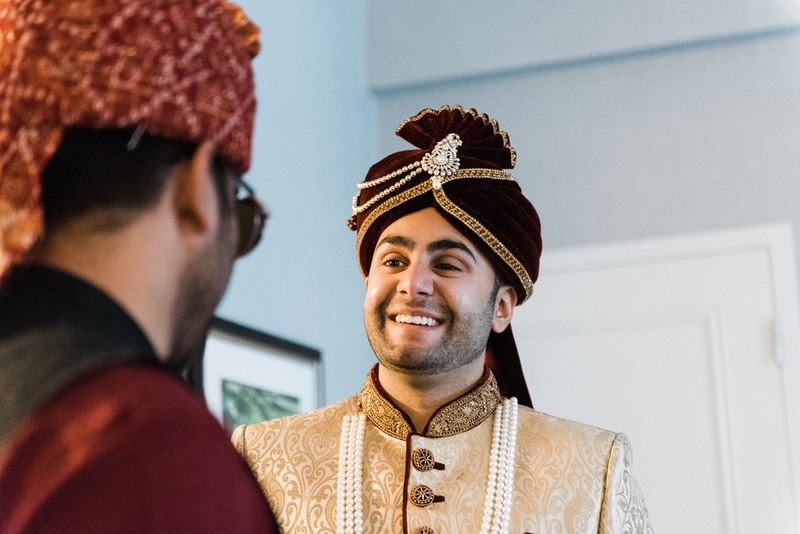 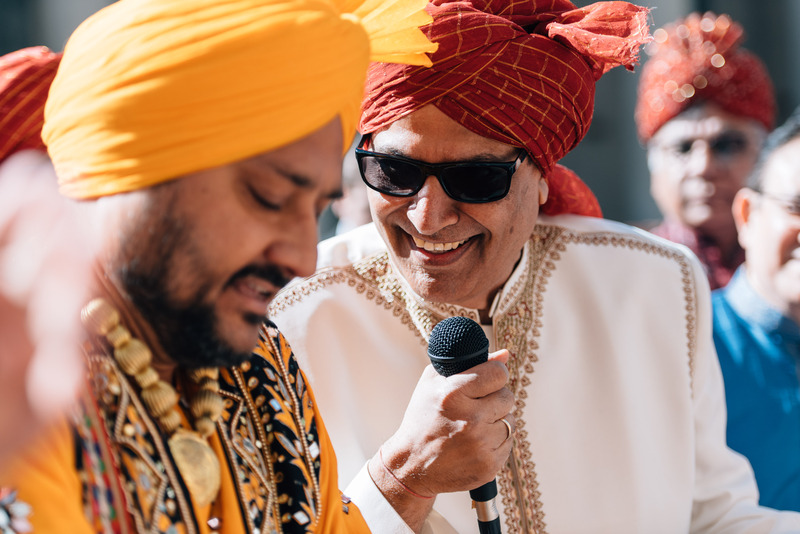 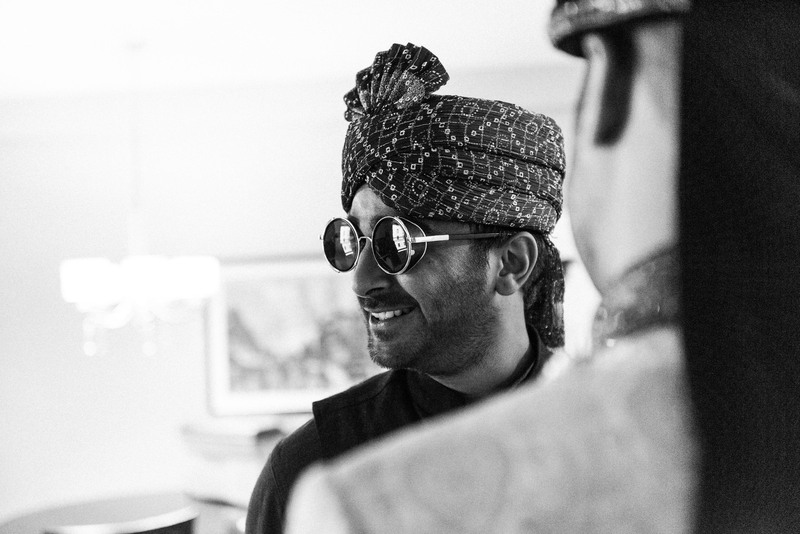 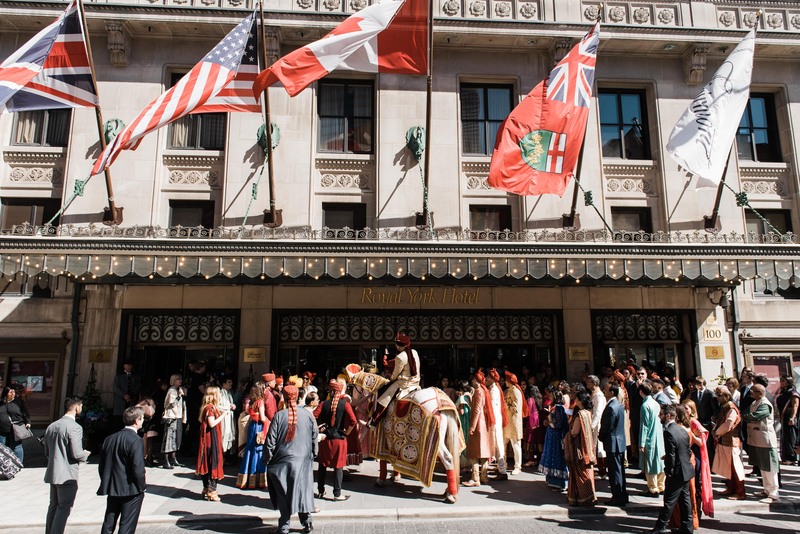 The Baraat brought everyone to the Fairmont Royal York hotel where Elmira’s Parents waited to receive Nikhil and his family. 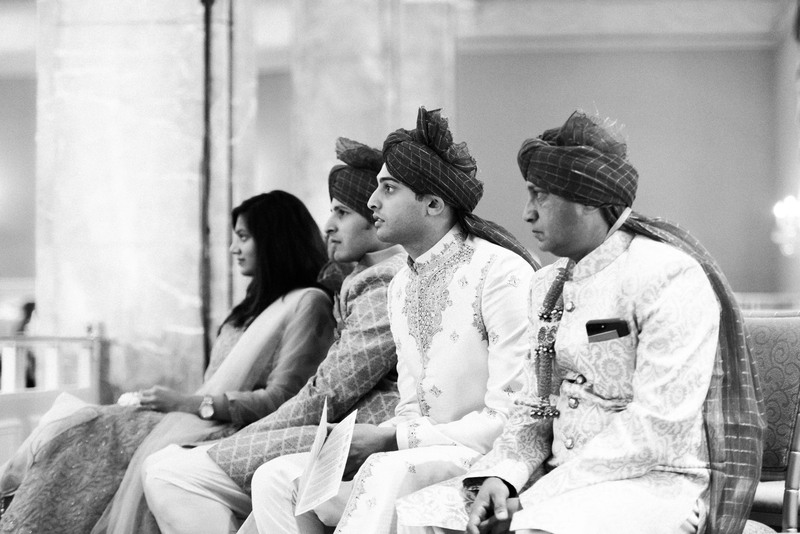 The ceremony was about to start. 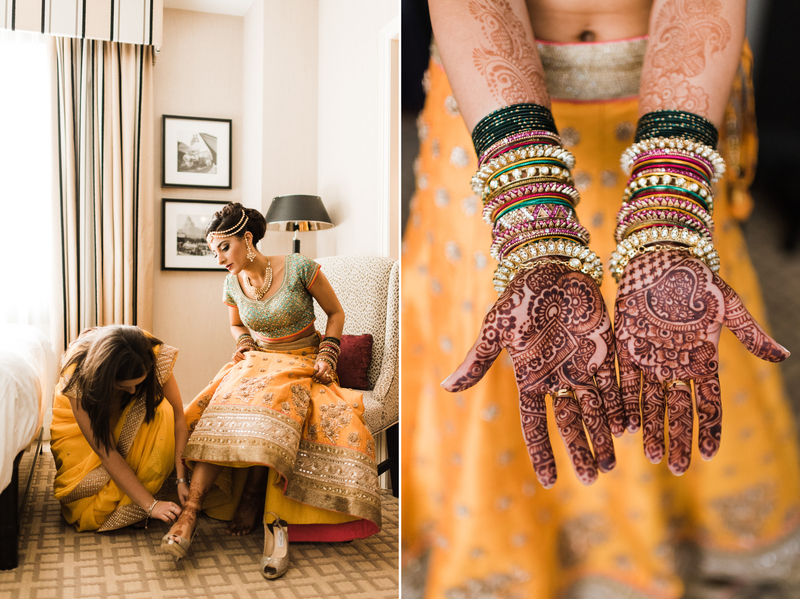 It is amazing how in a way the inside of the hotel worked so well with the traditional Hindu details and colours! 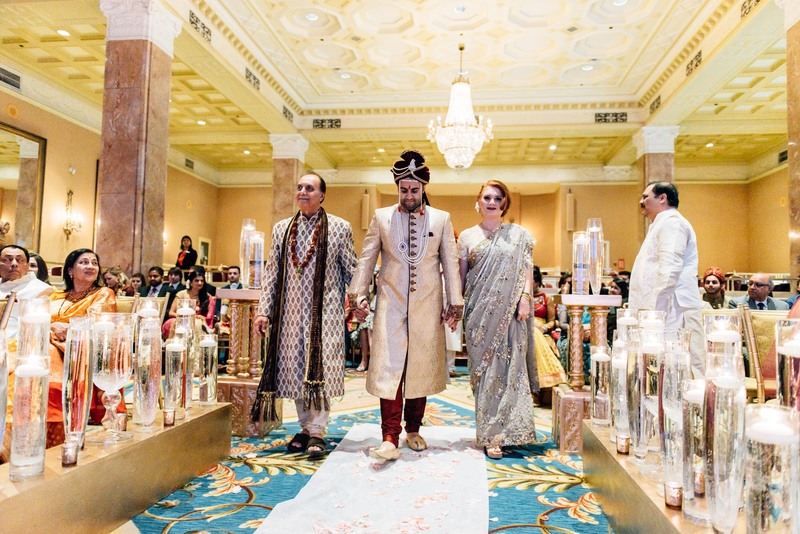 The ceremony was full of lessons for the couple who were ready to become a husband and wife team. 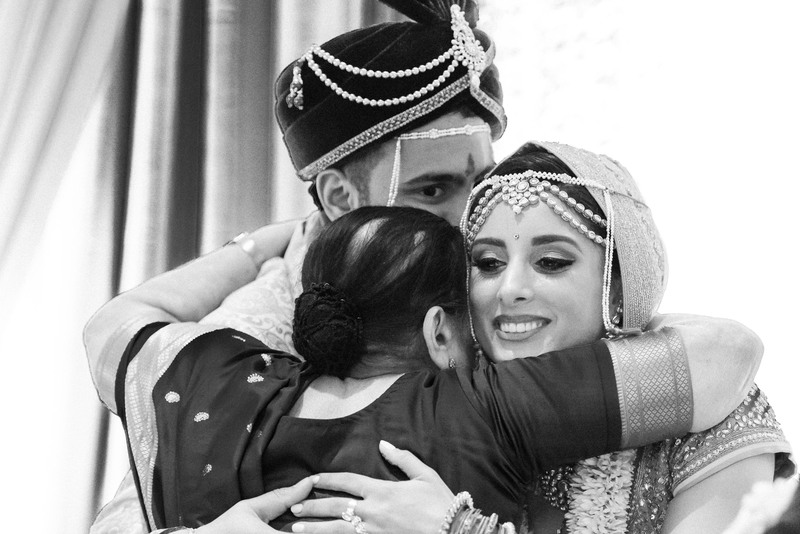 Amazing feeling! 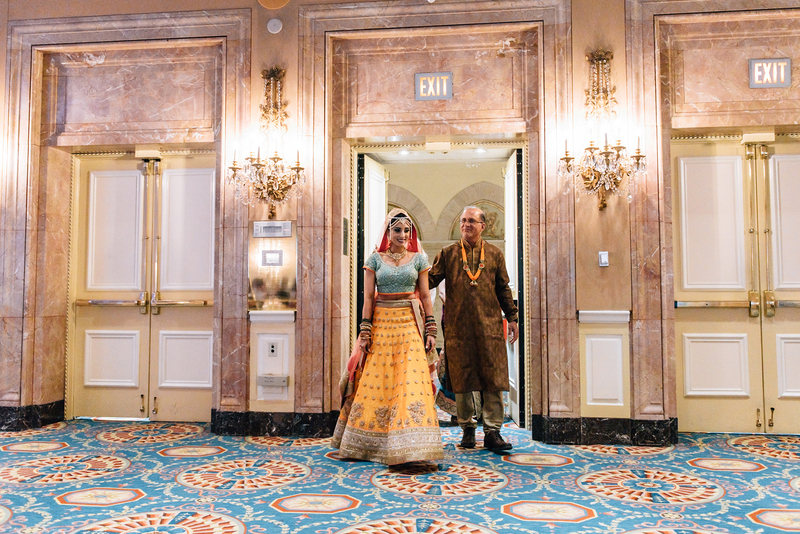 After the ceremony, we took a short walk with Elmira and Nikhil to capture their happiness as the newlywed husband and wife. 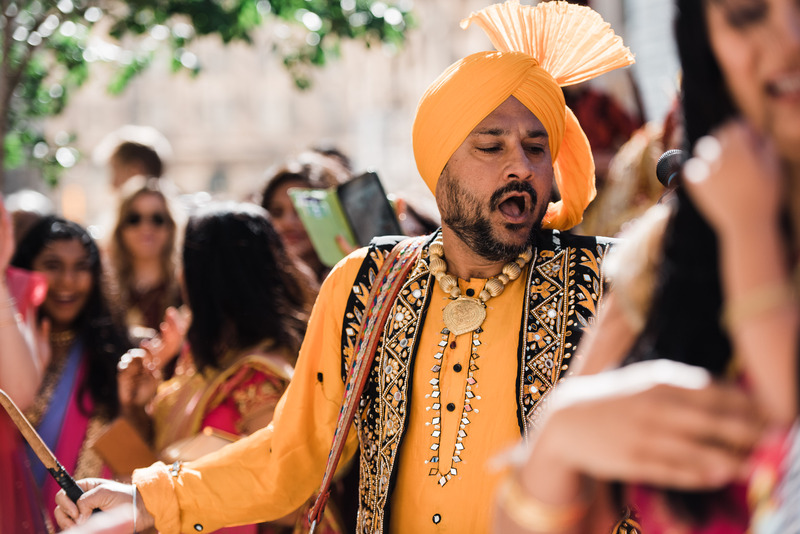 The traditional outfits mixed with the modern city created a rich tapestry of cultures which is difficult to express yet able to highlight using the unique images. 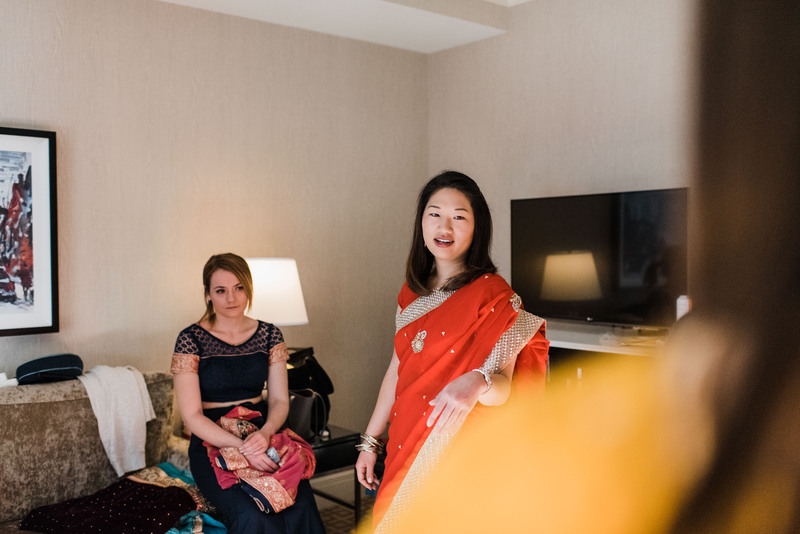 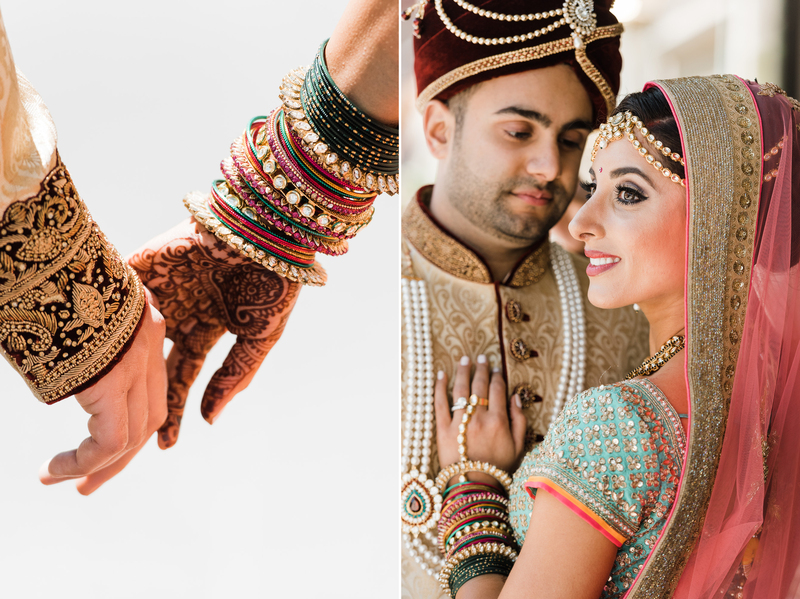 It is great to be a wedding photographer in Canada and to be able to capture all kinds of love, cultures and traditions. 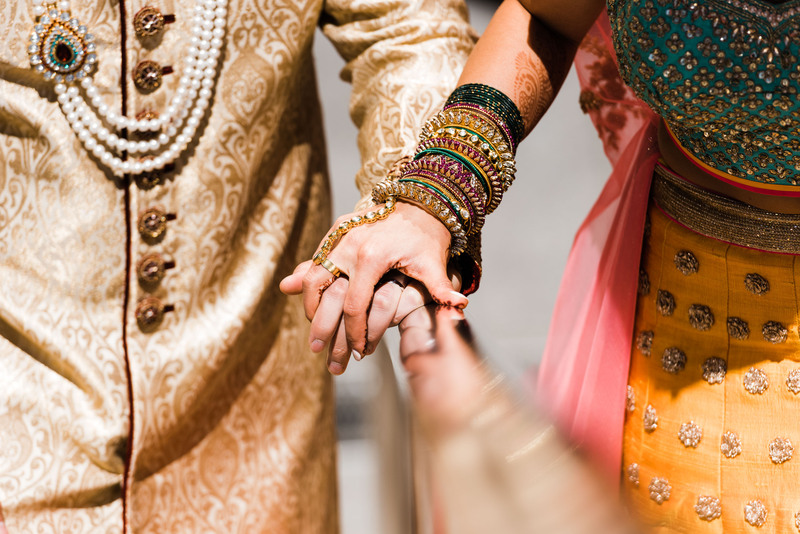 We will never get bored. 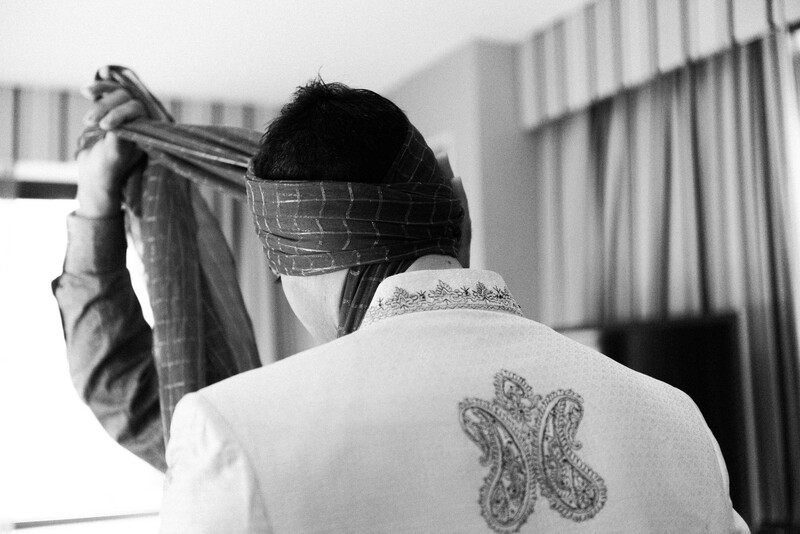 That’s for sure! 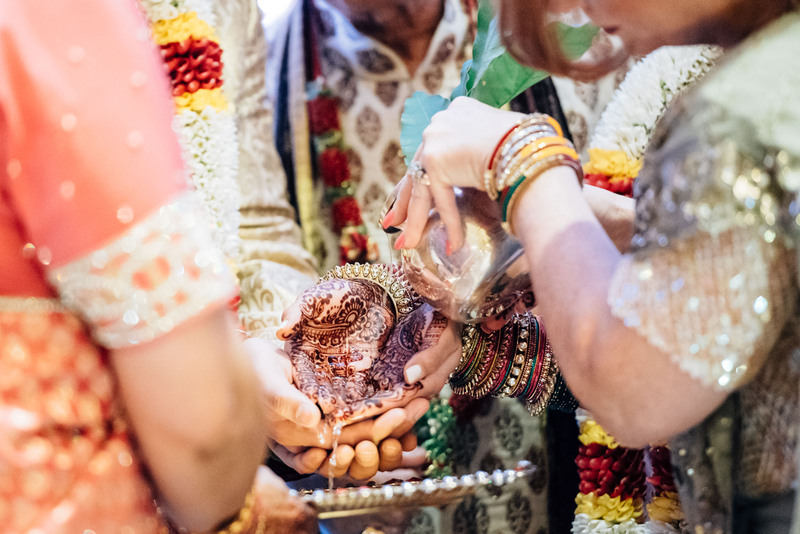 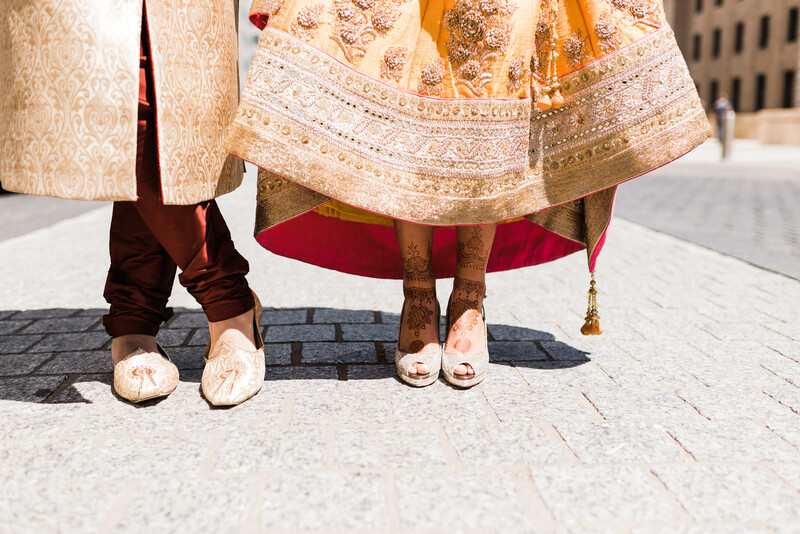 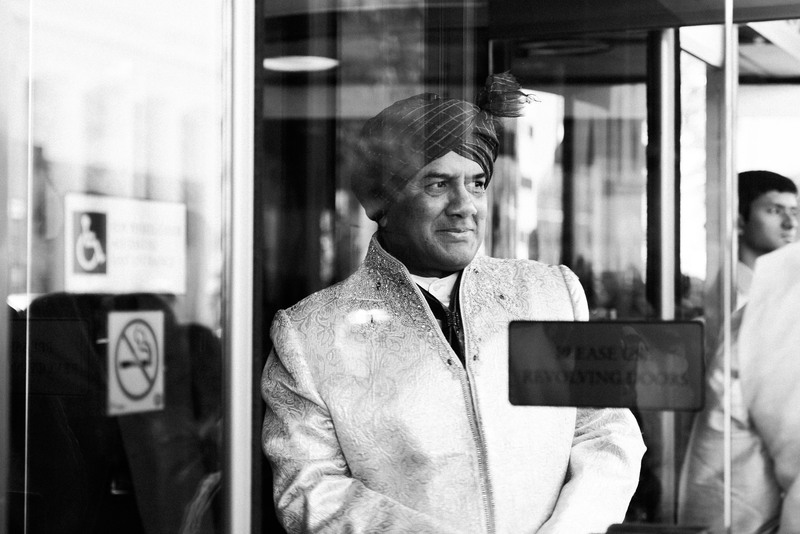 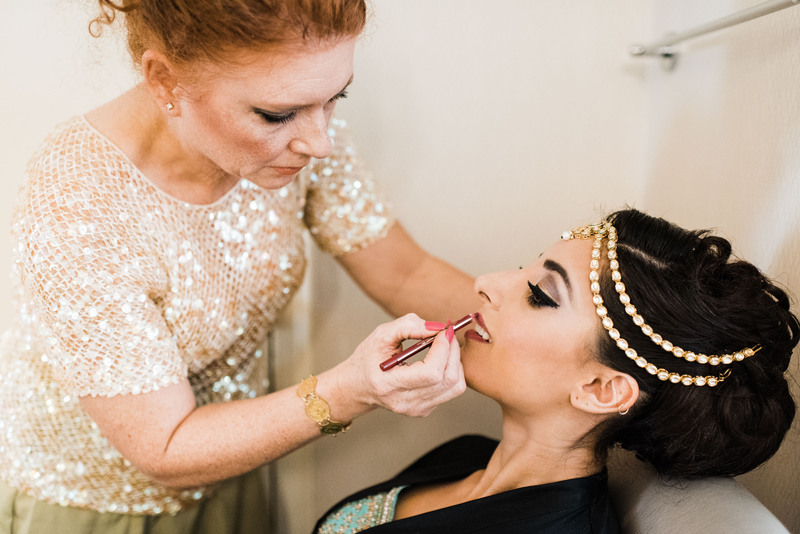 We need to say that photographing a Hindu wedding was an amazing experience and a great lesson! 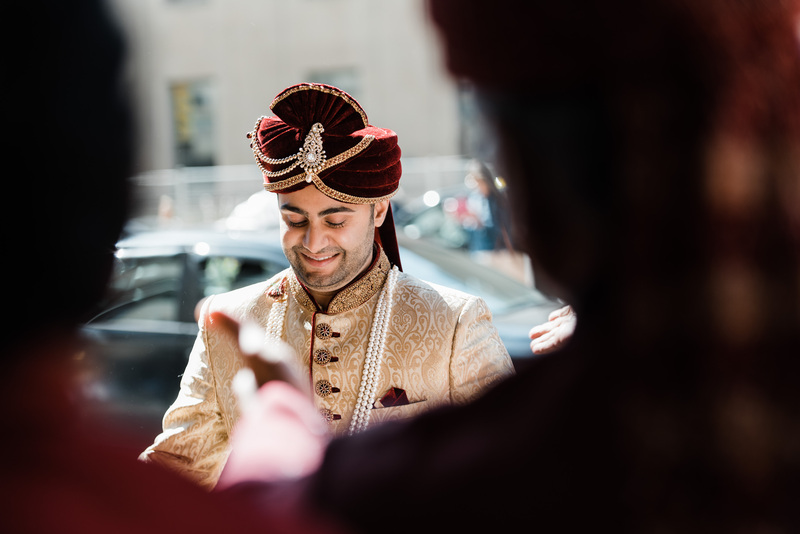 Thank you to Nikhil, Elmira and both of their families for such a wonderful day!